Many new employment specialists are fearful that they do not have the expertise to deal with individuals with a dual diagnosis. This course introduces a man with a dual diagnosis, following him in his career while debunking the myths and clarifying the realities of working with an individual with both mental illness and substance use issues. This information will also help you educate employers when you attempt to find job placements. The course then goes on to explain the process of the Assessment, Employer Engagement, and the Training and Long Term Support phases of IPS (Individual Placement and Support). Employment specialists have been instructed to converse with and observe the job seeker and document their unique preferences, skills, talents and challenges of the job seeker. This course builds on that foundation and demonstrates how to organize and use this information, along with information from related parties, to develop a Work Plan. The plan guides the employment specialist to employers and companies that will lead to a likely job match. The course also presents strategies and tools to engage employers as partners. A description of the Job Analysis is included, which will ensure best possible job match. 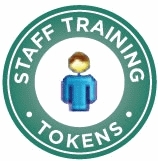 Orientation and training of the supported employee and the problem solving techniques used to support the employer are explained. An overview of long-term supports and natural supports complete the process for the employment specialist. This is the second part of a two-course program in Evidence Based Practices in Supported Employment, written especially for employment specialists working through community mental health centers, peer-run agencies, housing programs, and general health centers. It is designed to promote and build quality IPS programs by training direct service staff. List the myths and facts surrounding individuals with dual diagnosis. Organize and document information on the job seeker to complete the assessment phase. Write a work plan that includes information from the assessment phase. Recite the benefits of IPS to employers, coworkers and other business personnel. Recite ways of developing natural supports.